As the result of rapid economic growth, many new means of transportation are built to remote areas of Vietnam. Previously, visitors may find it difficult to travel to Sapa because of uphill and struggle roads and pathways. However, everything has changed since there is a railway to this stunning site. It's not only afforable but also safe for passsengers. If it's the first time on train to Sapa, you must really need our help. 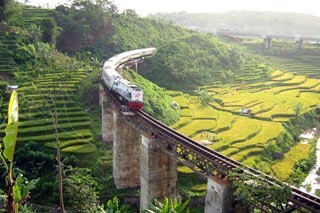 There're some tips for your preparation to Sapa by trains. You definitely can't travel by trains without a ticket. Don't forget to buy tickets as soon as possible just in case there's something urgent happend. One more, you will have chance to buy the best seat. If you go with your friends or family, buying tickets soon will help you sit in the same place. 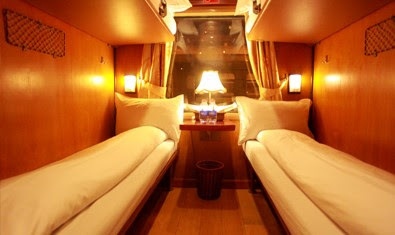 Different for other transportations, trains have got many kinds of seat or even beds depending on your journey. It's advisable for you to know how long you must be on trains to choose seat or bed to make you confortable and enjoy your holiday. 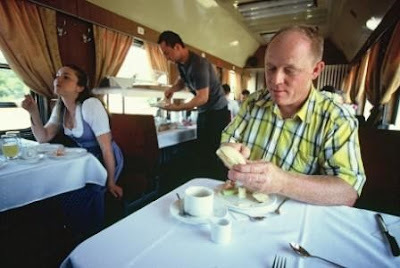 About having meals on trains, most of expensive tickets provide you with meals but if you feel strange and difficult to eat these food, just make it yourself. It's necesssay for you to prepare some canned food and water as well as tissues. Last but not least, personal hygiene is a matter that you need to notice. Because there are a lot of people who are on the same train, alarm is really useful this time when you are able to get up early than the other and have more time to make your personal hygiene reather than wair for some dozens of people. Please, notice that after stopping in any platform, restrooms on trains will be locked but you can still use restrooms in stations. Our hope you guys have the best trip and well-prepared before getting on any trains to travel. Before that, don't hesitate to see more information about TRAINS.